Excited? You should be! To say virtual reality is immersive is an understatement. You will feel like you could fall into the Grand Canyon with one misstep. You will really feel like you are experiencing zero G in Mission ISS. You will want to reach out and touch aliens lifeforms standing right in front of you—or maybe you’ll want to run away! VR is not just about the amazing experiences, either. We have programs for content creators—you can paint your own masterpiece in Quill, and your own 3D landscapes in Pantheon. · Mission: ISS, where you can take a trip into orbit and experience life on the International Space Station! · Quill, which allows you to paint your masterpiece in virtual reality! 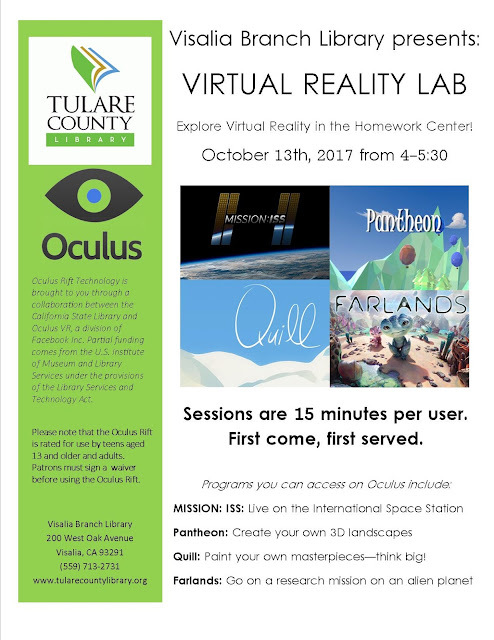 Our Oculus Rift experience will open to the public on October 13th in the Homework Center (located in the Children’s Wing) at 4pm. Please note that the Oculus is not approved for use by children under 13. Patrons aged 13 and older may use the rift for up to 15 minutes at a time on a first come, first serve basis. Extended hours will be offered in November. 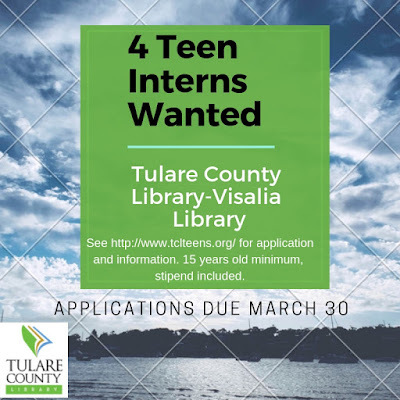 Teens are encouraged to volunteer to help patrons with the Oculus and test out newly downloaded games and experiences. 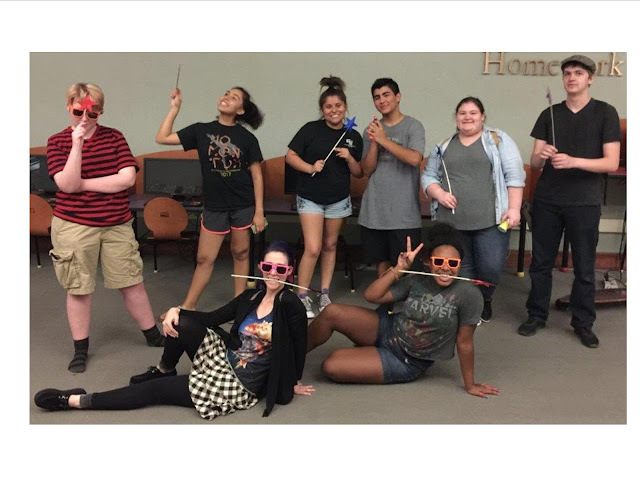 You will get volunteer credit for your time spent in virtual reality! 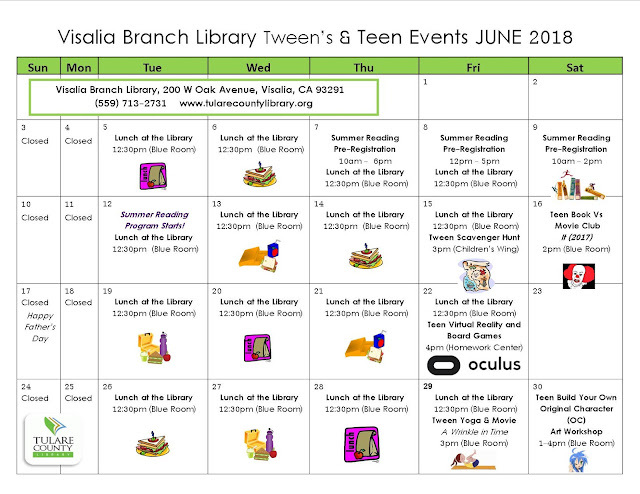 *This grant emerged from a partnership between the California State Library and Oculus VR, a division of Facebook Inc. and the project is managed by Califa, a nonprofit. Partial funding also comes from the U.S. Institute of Museum and Library Services under the provisions of the Library Services and Technology Act.